If you are the owner of a Microsoft Team at the University of Reading you will receive an email once a year, informing you the Team will expire and be deleted on a certain date. 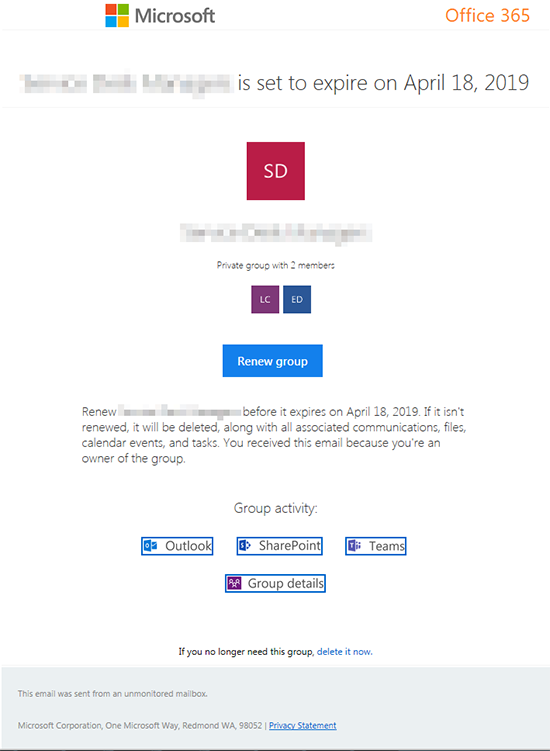 To continue using the Team and avoid the files, calendar, communications and tasks being deleted click the ‘Renew Group’ button and follow the instructions. If you no longer use the Team there is a separate option at the bottom of the email to delete it. If you do not follow the instructions in the email your Team will automatically be deleted, including all the previously mentioned content, on the date stated.